Location and Views!!! This approximately 1,500 sq ft home boasts 3 bedrooms, 2 and a half baths and an open floor plan in a desirable complex! Located in the rear of the Town View Community for extra privacy! The home has laminate flooring in the main living areas and plenty of natural light and a slider to take in the views of the hills. In the living room is a gas fireplace and covered patio for your summer BBQ's. The kitchen has stainless steel appliances, a large island, and ample cabinet space. The Master Bedroom is large with an attached full bath and nice view out the window. Downstairs are two more bedrooms, a full bathroom, storage closets and access to the 2 car garage and laundry hook-ups. 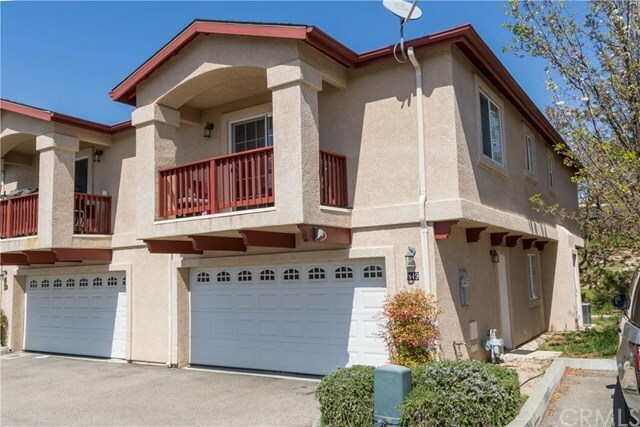 This home is perfect for a first time buyer, someone looking to simplify their lifestyle, or an investor looking to get a great rental return on their investment!